ALL SIZES TEMPORARILY OUT OF STOCK. ORDERS PLACED NOW WILL TAKE 2 WEEKS TO SHIP. Ask and you shall receive. 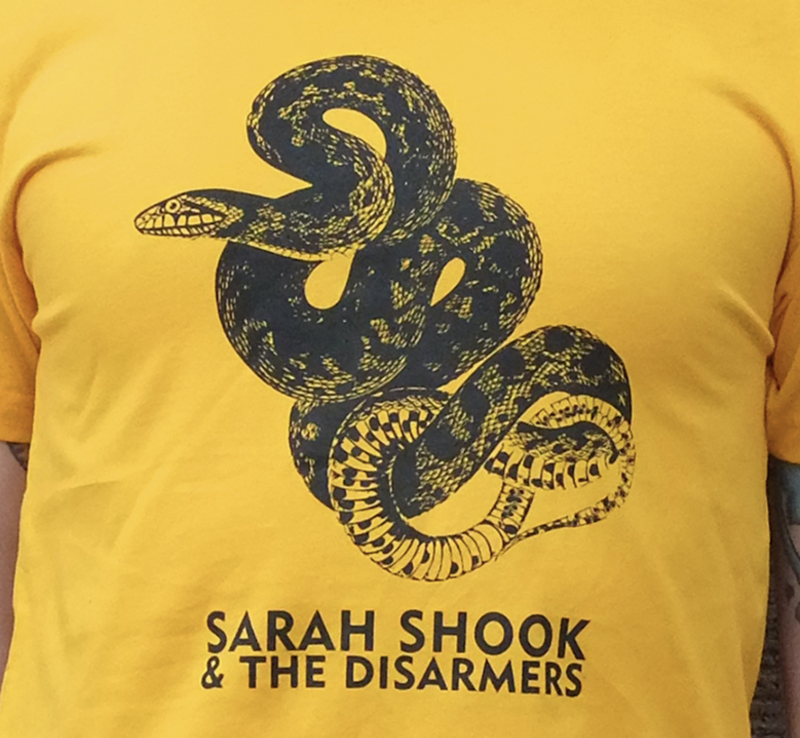 When Sarah Shook & the Disarmers unveiled their bold, reptilian album art for Years, we instantly had fans asking for the snake on a t-shirt. 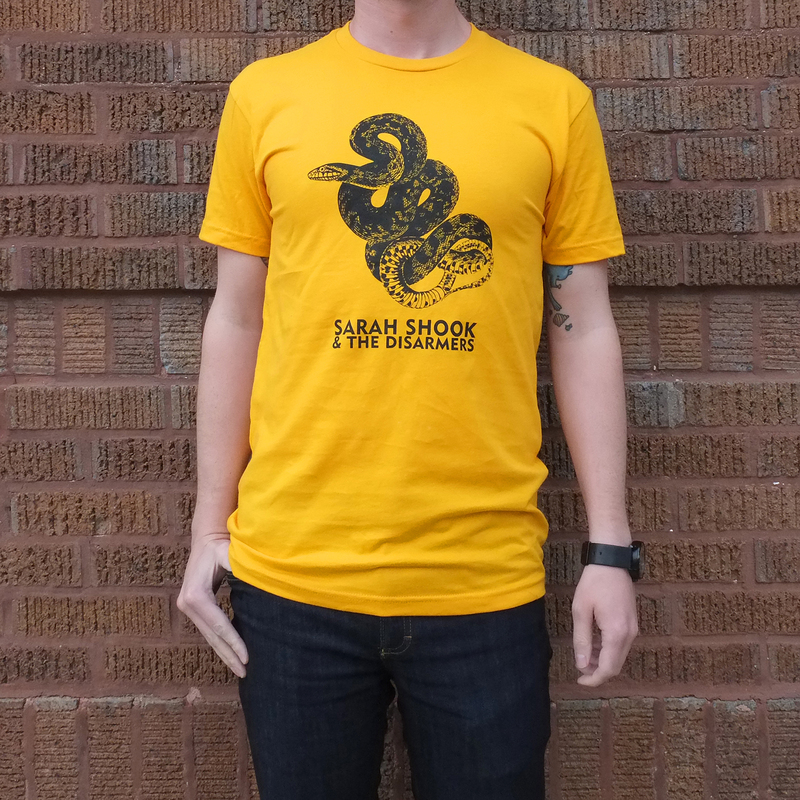 We wrangled the serpent and put it on a bold tee to match the record. Indiana Jones need not inquire.